Top 3 Things Women are Doing Every Day to Make Their Hair Loss Worse. Women's hair loss expert, Bambi Staveley from Balance Group, discusses some of the common things women are doing to cause additional hair loss. As women age, lots of things change. Some changes are welcome whilst others… not so much. A common change belonging to the latter category is women’s hair loss and worryingly, women may be making choices every day that are worsening their problems. As women age, their hair not only loses its colour but unfortunately, it also becomes finer. As this happens, many women will go into styling overdrive to try to recreate the voluminous locks of their youth. They start washing more often for fluffier bounce, use blow dryers, rollers, curling wands and more and more hairspray to make less look like more. But all this could actually be worsening the problem they’re trying to disguise. Washing hair too frequently leads to a reduction in the sebum necessary to keep hair healthy and hydrated. If this natural moisturiser is being constantly washed away, hair is likely to become dry and brittle and may break more easily. Women with thinning hair should try to cut down on hair washing and make sure to use good quality shampoos and conditioners to nourish their hair. It’s also a good idea to wash hair in cooler water as hot water can further damage the hair. 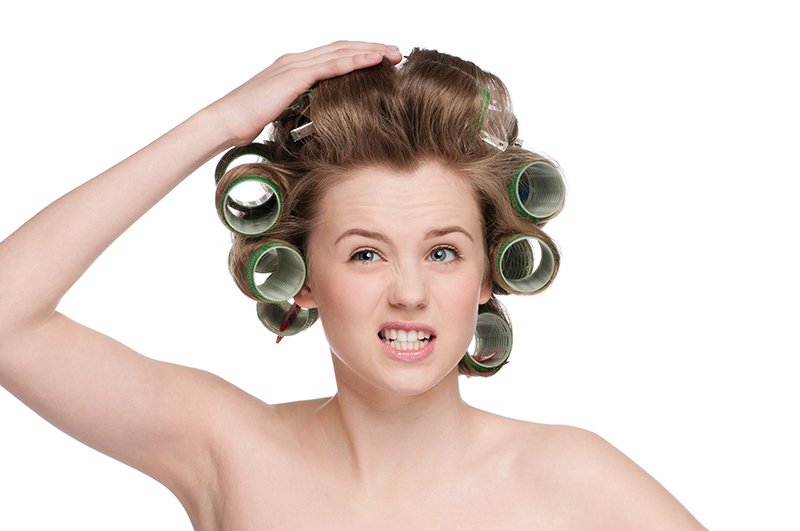 Blow drying, hot rollers, curling wands and hair straighteners are notorious for causing hair breakage. The excessive heat used to change the shape of the hair also dries and fries it at the same time. If any woman with thinning hair must use heated styling products, loading up on a good quality moisturising conditioner and using a leave in hair moisturiser is a good idea. Some companies also make heat protection sprays but the jury’s still out on whether these sprays really do much to protect your hair from heat. Loading up on styling products to get a look just right can be harmful to fine, weak hair. Whilst light use of a favourite product should be ok, going overboard can dry out and weaken fine hair. Women should stay away from really heavily gels that cause hair to become super sticky and opt for lighter, moisturising hair sprays and mousses. Also, avoid brushing styling products out as this will likely cause a lot of extra hair breakage. Instead, gently wash products out in the shower and if there are still tangles left over from your style, use a wide toothed comb to comb your conditioner through the hair. This will minimise the damage and breakage from trying to brush knots out of dry, brittle hair. So what can be done to add volume to finer hair without making it worse? 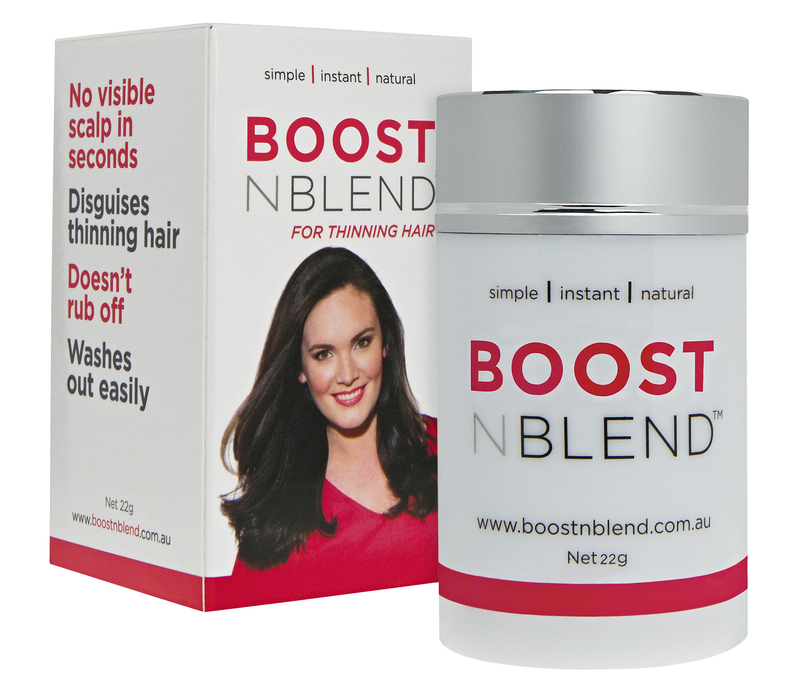 Hair volumisers and concealers like Boost n Blend are a great option as the all-natural ingredients won’t interfere with the hair’s natural cycle. Tiny cotton fibres electrostatically cling to the hair to make each hair appear thicker, without stripping out natural oils or making hair sticky or brittle. Women can also try flipping their hair forward and brushing the underside of their hair. This puffs up the layers of hair underneath, creating an overall voluminous look. As with everything in life (and even more as we age!) moderation is key. If it’s absolutely necessary to use any of the damaging volumising techniques mentioned above, simply trying to cut down on how often they are used or how much, should make a difference to how much hair is there tomorrow!